Mr. Wilkerson received a BS in Mechanical Engineering from Texas A&M University in 1972. He is a Member of the Mechanical Engineering Society. He is a Past President of the Texas Public Power Association (TPPA), and Past Section Chair of the American Public Power Association. Texas Public Power awarded him their Distinguished Service Award in 1998 and 2008. 1972-1978: Field Engineer, General Electric Corp., Schenectady, NY. In this period he worked in the installation, inspection, and maintenance of gas turbines, steam turbines, generators, and mechanical drive steam turbines. The equipment serviced was owned by utilities, chemical plants, refineries, and universities in the Gulf Coast Region. 1978-1984: Division Manager of Electric Production for the City of Bryan. In this capacity Mr. Wilkerson was responsible for the reliable operation of two power plants, the Atkins Power Plant, 130MW, and the Dansby Power plant, 110MW. Both utilized gas fired steam electric units as well as one gas turbine. He was also responsible for fuel acquisition and pipeline contracts. 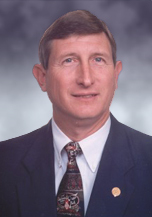 Director of Electric Utilities, then in 2001, General Manager of Bryan Texas Utilities. In this capacity Mr. Wilkerson had the overall responsibility for the generation, transmission, distribution, billing, and wholesale sales of electricity for the Municipal Electric System owned by the City of Bryan. This included fuel procurement and wholesale sales both as bilateral contracts and in the daily market. Retail rate design was a major responsibility to insure adequate revenues, bond covenant coverage, and equitable charges. Testimony at the Public Utility Commission was given on Transmission Cost of Service and at the Federal Energy Regulatory Commission on the same subject. Mr. Wilkerson represented the Municipal Sector at ERCOT in the following capacities; Operating Subcommittee, Technical Advisory Committee (two separate stints), Board of Texas Regional Entity, and ERCOT Board, as well as a number of working groups. He was President of TPPA during the writing of Senate Bill 7, the Deregulation Bill, and helped with its drafting. During his tenure the system grew more than fifty percent, adding 100MW of gas turbines and thirty miles of 138KV transmission. Sales to new wholesale customers increased revenue, and technology was utilized to lower costs so that over the twenty eight years of his tenure, actual retail rates declined. Reliability indices improved so that outage lengths were reduced by two thirds. Power and energy procurement for a major retail restaurant. Mr. Wilkerson has authored or co-authored papers and reports on power generation and the enhancements of new technology for generation, particularly in boiler controls. He has taught classes on utility management for the American Public Power Association, and has given many presentations concerning utility practice.